Ha! I decided to do a Sinatra session tonight. Both studio albums with Count Basie, Live at The Sands and LA Is My Lady. My beer got warm from being ignored. For what it's worth I liked the Majestic so much I bought two. Each one for a different room! Well, I didn't get to listen a lot last night; just the one album and was interrupted by a phone call from my mother and dinner. FWIW, my immediate first impression was that it is so easy to listen to. A couple of years or so ago I brought home, for a few days, a Cyrus DAC/amp from the local Audio-T. I put on Queen's Innuendo and we were gobsmacked by how good it sounded ... for 5 or 10 minutes, before it sunk in that we actually hated its harshness and couldn't possibly live with it. I'll listen to Innuendo through the Majestic later today. A few days late, but we have now listened to Innuendo spun on the Cyrus CD8 SE through the Majestic and it sounded really good. None of the digital harshness we experienced through the top of the range Cyrus integrated DAC/amp. Nearly a week in to using the Majestic as preamp in addition to DAC. It's changed. Not enough "o"s in smooth to describe it (thanks for the line, Sherman Potter). Bass is tighter and a little deeper, but the extra texture (I use that word a lot in describing this thing) is a winner. 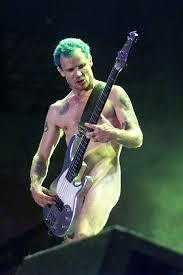 I'm getting a very clear delineation between cello and bass sections in orchestral music, Flea's bass is way more articulate, all LP's make more sense, especially jazz ones, and sound stages are held solidly in space regardless of volume level. No wandering of images with pitch changes. My speakers are better than I thought they were. What a bonus. PS - thanks for the concern over my beer getting warm. I've switched to single malt. Problem solved.